Bu çalışma, konaklama işletmelerine gelen müşteriler ile çalışanlar arasındaki bağların neler olduğunu belirlemek amacıyla gerçekleştirilmiştir. Çalışma sonucunda ortaya çıkan müşteri-çalışan bağı boyutlarının, demografik değişkenlere ve kullanım davranışına göre değişip değişmediği incelenecek ayrıca kişilerarası kurulan bağların müşteriler tarafından ne düzeyde algılandıkları da belirlenmeye çalışılacaktır. Araştırmanın evrenini Fethiye’yi ziyaret eden İngiliz turistler oluşturmaktadır. Bu bağlamda 825 İngiliz turiste anket yapılmıştır. Elde edilen sonuçlara göre konaklama işletmelerinde müşteri-çalışan arasında kurulan bağların; aşinalık, arkadaşlık, umursama, uyum ve güven boyutlarından oluştuğu tespit edilmiştir. Müşterilerin cinsiyet, müşteri-çalışan bağ seviyesi, tesise geliş sayısı, yaşları, eğitim seviyeleri, hane halkı aylık gelirleri, seyahati satın alma yöntemleri ve konaklama sürelerine göre müşteri-çalışan bağı boyutlarını farklı algıladıkları yine bu boyutların memnuniyet üzerindeki etkisinin olduğu belirlenmiştir. This study was carried out to determine what the bonds between customers who come to accommodation facilities and employees are. As a result of the study, whether the resulting customer-employee bond dimensions vary by demographic variables and usage behavior will be examined, and an attempt to determine at what level the established interpersonal bonds are perceived by customers will also be made. The universe of the study constitutes British tourists visiting Fethiye. In this context, 825 British tourists were surveyed. According to the results, it was determined that the bonds established between customers and employees in accommodation facilities consisted of the dimensions of familiarity, friendship, care, rapport and trust. 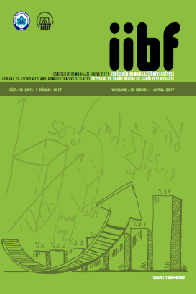 It was determined that customers perceived the dimensions of customer-employee bond differently according to gender, customer-employee bond level, the number of coming to facility, age, educational level, household monthly income, travel purchase methods and the duration of accommodation, and that these dimensions had effects on satisfaction. Alrubaiee, Laith ve Al-Nazer Nahla (2010), “Investigate the Impact of Relationship Marketing Orientation on Customer Loyalty: The Customer's Perspective”, International Journal of Marketing Studies, 2(1):155-174. Auhagen, Ann Elisabeth (1996), Adult friendship. In Ann Elisabeth Auhagen & Maria von Salisch (Eds. ), The Diversity Of Human Relationships (pp. 229–247), New York: Cambridge University Press, USA. Beatty, Sharon E., Mayer, Morris, Coleman, James E., Reynolds, Kristy Ellis ve Lee, Junki (1996). Customer-Sales Associate Retail Relationships, Journal of Retailing, 72(3): 223-247. Bendapudi, Neeli ve Berry, Leonard L. (1997), “Customer's Motivations For Maintaining Relationships With Service Providers”, Journal of Retailing, 73(1): 15-38. Berry, Leonard. L. (1995), “Relationship Marketing of Sevices-Growing Interest, Emerging Perspectives”, Journal of The Academy of Marketing Science, 23(4): 236-245. Carpenter, Jason M. ve Fairhurst, Ann (2005), “Consumer Shopping Value, Satisfaction and Loyalty for Retail Apparel Brand”, Journal of Fashion Marketing and Management, 9(3): 256-269. Chasiko Cherinet Boke (2015), “The Effect Of Relationship Marketing On Customers’ Loyalty (Evidence from Zemen Bank)”, Emerging Markets Journal, 5(2): 57-70. Crosby, Lawrence A. ve Stephens, Nancy (1987), “Effects of Relationship Marketing on Satisfaction, Retention, and Prices in the Life Insurance Industry”, Journal of Marketing Research, 24(4): 404-411. Delcourt, C., Gremler, D. D., Van Riel, A. C. R. ve Van Birgelen, M. (2013). “Effects Of Perceived Employee Emotional Competence On Customer Satisfaction And Loyalty The Mediating Role Of Rapport”. Journal of Service Management, 24(1): 5-24. Fatima, Johra Kayeser ve Razzaque, Mohammed. A. (2010), “Understanding Customer-employee Relationship and Customer Satisfaction: A Proposed Study of Private Commercial Banks in Bangladesh”, http://anzmac.org/conference_archive/2008/_Proceedings/PDF/S15_/Fatima%20%26%20Razzaque%20S9%20S4%20P3%20.pdf,(Erişim:01.01.2017). Fisk, Peter (2006), Pazarlama Dehası. (Çev. Aytül Özer), İstanbul: Kapital Medya Yayınları. Goodwin, Cathy ve Gremler, Dwayne D. (1996), “Friendship over the Counter: How Social Aspects of Service Encounters Influence Consumer Service Loyalty”, Advances in Services Marketing and Management, 5:247-282. Gremler, Dwayne D. ve Brown, Stephen W. (1996), “Service Loyalty: Its Nature, Importance, and Implications: in Advancing Service Quality: A Global Perspective”, International Service Quality Association, 5: 170-181. Gremler, Dwayne D. ve Gwinner, Kevin P. (2000), “Customer-Employee Rapport in Service Relationships”, Journal of Service Research, 3(1): 82-104. Gremler, Dwayne D., Gwinner, Kevin P. ve Brown, Stephen W. (2001), “Generating Positive Word-Of-Mouth Communication Through Customer-Employee Relationships”, International Journal of Service Industry Management, 12(1): 44-59. Gremler, Dwayne D. ve Gwinner, Kevin P. (2008), “Rapport-Building Behaviors Used by Retail Employees”, Journal of Retailing, 84(3): 308-324.Grönroos, Christian (1996), “Relationship Marketing: Strategic and Tactical Implications”, Management Decion, 34: 5-14. Grönroos, Christian (2004), “Therelationship Marketing Process: Communication, Interaction, Dialogue, Value”, The Journal of Business & Industrial Marketing, 19(2): 99-110. Guenzi, Paulo ve Pelloni, Ottavia (2004), “The Impact of Interpersonal Relationships on Customer Satisfaction and Loyalty to the Service Provider”, International Journal of Service Industry Management, 15(4): 365-384. Gwinner, Kevin P., Gremler, Dwayne D. ve Bitner, Mary Jo (1998), “Relational Benefits in Services Industries: The Customer’s Perspective”, Journal of the Academy of Marketing Science, 26(2): 101-114. Hennig-Thurau, Thorsten, Gwinner, Kevin P. ve Gremler, Dwayne D. (2002), “Understanding Relationship Marketing Outcomes An Integration of Relational Benefits and Relationship Quality”, Journal of Service Research, 4(3): 230-247. Homburg, Christian ve Stock, Ruth M. (2005), “Exploring The Conditions Under Which Salesperson Work Satisfaction Can Lead To Customer Satisfaction”, Psychology & Marketing, 22(5): 393-420. Hou, Huiying ve Ho, Daniel Chi Wing (2015), “Rapport And Its Managerial Implications in FM Service Outsourcing Relationships”, International Journal Of Strategic Property Management, 19(2): 137-148. Kotler, Philip (2002), Kotler ve Pazarlama; Pazar yaratmak, Pazar Kazanmak ve Pazara Egemen Olmak (Çev: Ayşe Özyağcılar), İstanbul: Sistem Yayıncılık. Leonidou, Leonidas C., Palihawadana, Dayananda ve Theodosiou, Marios (2006), “An Integrated Model of the Behavioural Dimensions of Industrial Buyer-Seller Relationships”, European Journal of Marketing, 40(1/2): 145-173. Line, Nathaniel D. ve Runyan, Rodney C. (2012), “Hospitality Marketing Research: Recent Trends and Future Directions”, International Journal of Hospitality Management, 31(2): 477-488. Macintosh, Gerrard (2009a), “The Role of Rapport in Professional Services: Antecendents and Outcomes”, Journal of Services Marketing, 23(2): 71-79. Macintosh, Gerrard (2009b), “Examining the Antecedents of Trust and Rapport in Services: Discovering New Interrelationships”, Journal of Retailing and Consumer Services, 16: 298-305. Molina, Arturo, Consuegra, David Martin ve Esteban, Agueda (2007). Relational Benefits And Customer Satisfaction in Retail Banking, International Journal of Bank Marketing, 25(4): 253-271. Morgan, Robert M. ve Hunt, Shelby D. (1994), “The Commitment-Trust Theory Of Relatinoship Marketing”, Journal of Marketing, 58: 20-38. Odabaşı, Yavuz (2004), Satışta ve Pazarlamada Müşteri İlişkileri Yönetimi. İstanbul: Sistem Yayıncılık. Ndubisi, Nelson Oly (2007), “Relationship Marketing and Customer Loyalty”, Marketing Intelligence & Planning, 25(1): 98-106. Nunnally, Jum C. ve Bernstein, Ira. H. (1994), Psychometric Theory (3rd ed. ), McGraw-Hill, New York, USA. Parasuraman, A., Zeithaml, Valeria A. ve Berry, Leonard. L. (1988), “SERVQUAL: A Multiple-item Scale For Measuring Consumer Perceptions Of Service Quality”, Journal of Retailing, 64(1):12-40. Price, Linda ve Arnould, Eric (1999), “Commercial Friendships: Service Provider-Client Relationships in Context”, Journal of Marketing, 63(4): 38-56. Scherer, Robert F., Wiebe, Frank, Luther, David C. ve Adams, Janet S. (1988), “Dimensionality Of Coping: Factor Stability Using The Ways Of Coping Questionnaire”, Psychological Report, 62: 763-770. Shaikh Ali, Siti Haryati (2011), “Respect and Rapport: Do They Matter in Perceived Relationship Quality?”, International Journal of Business and Social Science, 2(10): 183-192. Sherbourne, Cathy Donald, Hays, Ronald D., Ordway, Lynn, Dimatteo, M. Robin ve Kravitz, Richard (1992), “Antecedents Of Adherence To Medical Recommendations: Results From The Medical Outcomes Study”, Journal of Behavioral Medicine. 15: 447-468. Sheth, Jagdish N. ve Parvatiyar, Atul (1995), “The Evolution of Relationship Marketing”, International Business Review, 4(4): 397-418. Tabachnick, Barbara G. ve Fidell, Linda S. (2001), Using Multivariate Statistics. Fourth Edition. International Student Edition, Allyn&Bacon, USA. Taşkın, Ercan, Çokay, Filiz, Kurt, Murat, Ebeoğlugil H. Feyyaz, Özyaşar, Hasan ve Baran, Abdulbaki (2014), “Özel Hastanelerde İlişkisel Pazarlama Uygulaması”, Dumlupınar Üniversitesi Sosyal Bilimler Dergisi, 41: 121-130. Tung, Brian ve Carlson, Jamie (2013), “Modeling a Formative Measure of Relationship Quality and Its Effects: Evidence From the Hong Kong Retail Banking Industry”, Services Marketing Quarterly, 34(2): 139-158. Tümer, Mustafa ve Nadiri, Halil (2013), “Sağlık Hizmet Sektöründe Bireyler Arası Bağın Müşteri Sadakatine Etkisi: Kuzey Kıbrıs Türk Cumhuriyeti Örneği”. 18. Ulusal Pazarlama Kongresi Kongre Kitabı. 19-22 Haziran 2013, Kars, s. 421-430. Walsh, Gianfranco, Bartikowski, Boris ve Beatty Sharon E. (2014), “Impact of Customer-based Corporate Reputation on Non-monetary and Monetary Outcomes: The Roles of Commitment and Service Context Risk”, British Journal of Management, 25: 166-185. Yazıcıoğlu, Yahşi ve Erdoğan, Samiye (2004). SPSS Uygulamalı Bilimsel Araştırma Yöntemleri. Detay Yayıncılık, Ankara. Yılmaz, Özer (2014), “İlişkisel Pazarlama Faaliyetlerinin Ağızdan Ağza İletişim (WOM) Yaratma Üzerine Etkisi: Bankacılık Sektörüne İlişkin Bir Alan Araştırması”, Uluslararası Hakemli Pazarlama ve Pazar Araştırmaları Dergisi, 2(1): 46-59.